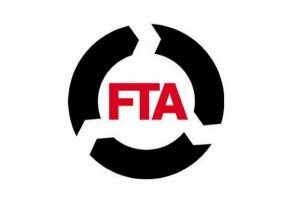 The Freight Transport Association (FTA) has announced the finalists in this year's Logistics Carbon Reduction Scheme (LCRS) Leadership in Carbon Reduction Award. A measure of those businesses that have demonstrated the best commitment to carbon reduction efforts in the last 12 months, the award is based upon the submission of a detailed set of documents outlining the lengths that companies have gone to in order to improve their green credentials in the past year. FTA climate change policy manager Rachael Dillon said: "There is increasing pressure for the freight industry to reduce carbon emissions. "The LCRS Leadership in Carbon Reduction Award is a fantastic way to profile how fleet operators are striving to reduce their carbon impact despite the challenges and barriers that often exist." An ultimate winner of the LCRS Leadership in Carbon Reduction Award will be announced by the FTA at the organisation's upcoming Multimodal Awards on May 10th. The event is set to be held at the Birmingham NEC and forms part of the UK and Ireland's leading freight transport and logistics exhibition.